It’s almost 5 AM and I am trying to get a blog out before I go to work. Today is Saturday, which means it’s time to talk about industry terms and set etiquette. You need a lot of tools and supplies to get the job done right! Being a freelance makeup artist can be pricey, and having a well-stocked kit can cost thousands of dollars. Because of the investment in your supplies often times when you’re negotiating your pay for a project, production companies will offer to pay a kit fee. This is the money that production pays you as a daily fee for using the content of your kit on the show. Also referred to as a “kit rental.” It is supposed to cover the wear and tear of your tools, as well as the use of products that you have in your kit. Kit fees can range from $25 a day and up, depending on the budget of project. Kit fees are separate from your day rate. Some smaller productions will offer to only pay you a kit fee, due to a meager budget. It’s a good idea to think about what type of fees will charge before you talk to a production company. Please feel free to leave a comment and let me know what you are thinking. If there is a specific industry term you have questions about, I would love to hear from you! Hi there, love your blog! I’m an Aesthetician/ makeup Artist. For about 20 years at a mayor hotel in Vegas, I recently quit my job(1 year a go) went to makeup School in LA. 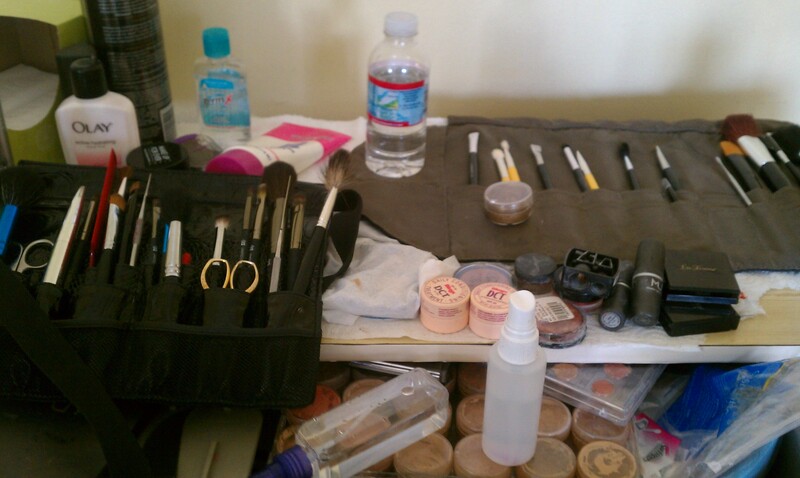 Now I’m a freelance Makeup artist for TV/ Film. What would be a good halve day and full day pay? I’m a asking for day 300.00 but what should I really be charging? And how about a halve day rate? I think my rate is low what do you think? I’m doing commercials for a car Company right now so I won’t change the price for them.